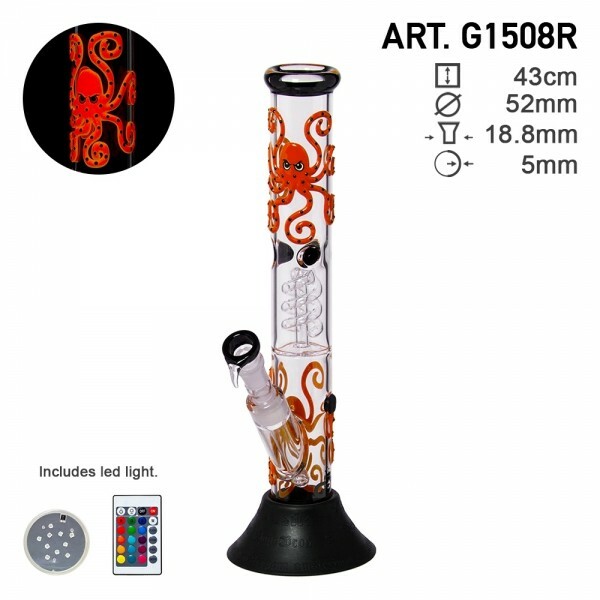 This amazing straight tube from Grace Glass Octopoda series is an unique waterpipe made out of high quality borosilicate glass. Wall decorated with red octopus, It also comes with a removible silicone base. Equipped with a spiral percolator chamber and a 3 ice noch for a cooler smoking experiences. With an height of 43 cm and handle bowl male of 18.8mm this piece include also a LED set. Visit our website to discover all the new arrivals.